It is truly a great time to be a credit union. October 18th is International Credit Union (ICU) Day; In this 70th year of celebrating the global credit union movement with a day of recognition, credit unions enjoy an enduring sense of purpose, historical growth and unprecedented opportunities. Credit unions are making genuine and meaningful changes in people’s lives. Credit union growth is a rising tide. According to the World Council of Credit Unions, U.S. credit unions grew by 12 million members between 2013 and 2017. “We see that membership growth continues to reflect the important role that credit unions have in providing economic empowerment to people worldwide,” said World Council President and CEO Brian Branch. “This year we can celebrate as a global community. We have realized our vision of reaching 250 million members by the year 2020.” In fact, global credit union membership now stands at 260 million members in 117 countries. In the U.S., the Credit Union National Association reports that credit unions are experiencing record growth in both membership and lending. According to the August Monthly Credit Union Estimates from CUNA, credit unions are currently on pace for 5 percent annual membership growth and double-digit loan growth for the fifth straight year. “Neither of those events have occurred since the 1980s,” notes CUNA senior economist Jordan van Rijn. 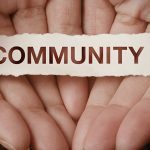 The credit union ideal of people helping people resonates with consumers, whether they’re seeking the best rates and services or looking for a financial institution that shares their community values. Consider just one of the many credit union-sponsored initiatives making a difference worldwide: Since its inception 22 years ago, Credit Unions for Kids has raised more than $170 million for Children’s Miracle Network Hospitals; over $11 million in 2017 alone. Through Miracle Match and countless giving opportunities throughout the years, CO-OP is proud to be a part of this remarkable community effort. Credit unions are making the revolutionary leap to a more competitive, digitally-driven future. Credit unions are justifiably proud of their tradition, but they aren’t relying on it to fuel continued growth. Meeting the expectations of digital age consumers is a huge technological and cultural challenge for legacy financial institutions, but credit unions are increasingly taking it on. In a 2017 CO-OP survey of credit union executives, 88 percent said digital transformation was “extremely” or “quite” important. But they didn’t stop there: Many have embraced new strategies and tools to make their organizations more responsive, digitized and agile. 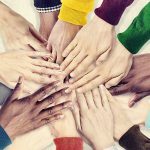 The result is that credit unions are becoming more competitive, but the larger goal is loftier: Credit unions are earning their members’ trust. By maintaining clear motives, working tirelessly to improve the lives of their members and the strength of their communities, upgrading the member experience while securing their members’ money and accounts at the same time, and committing themselves to innovation and excellence moving forward, credit unions are opening the doors to a new era of opportunity. 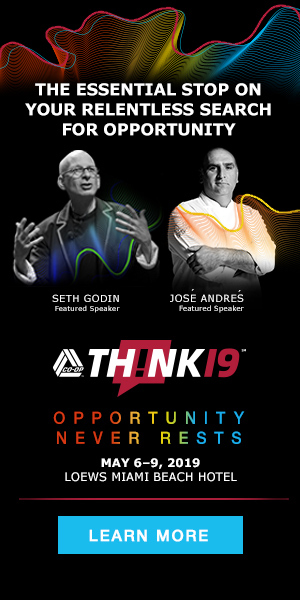 Celebrate the credit union spirit and uncover a world of opportunity at THINK 19 – May 6 to 9 in Miami. Join Seth Godin, José Andrés and an all-star lineup of keynote speakers, industry-focused Power Sprints and the best networking in the business. Early-bird pricing ends October 31st: Learn more and register now.